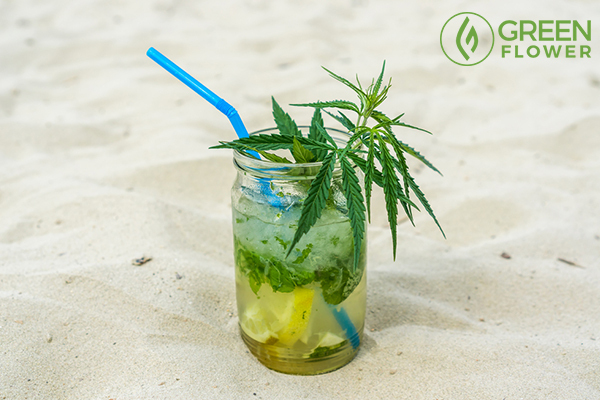 Cannabis-infused beverages are catching on fast! When it comes to ingesting your cannabis, who says that food should get to have all the fun? Classic edibles will never go out of style, and cannabis-infused dishes are all the rage in the ever-growing cannabis community. So, what about cannabis drinks? With a little creativity and the right ingredients, you can take the trend a step further. Sipping your stash may quickly become your favorite alternative to smoking or vaping. Try one of these deliciously dank cannabis drink recipes for a delicious liquid twist on edibles. Also called “Mother’s Milk”, cannabis milk is the way many medical cannabis users opt to take their medicine. 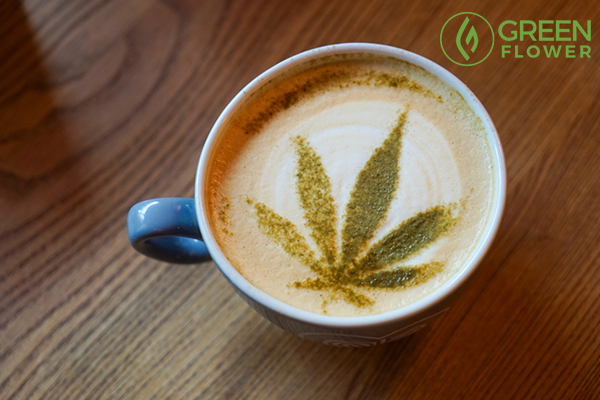 It’s a delicious way to incorporate cannabis into your morning coffee or tea, and it’s also a key ingredient in many cannabis beverages. Start by decarboxylating your cannabis in an oven set to 240 degrees. Spread the cannabis evenly on a baking sheet or dish, and cover with aluminum foil. Put it in the oven for 25 minutes, and let it cool. Using the double boiler method, bring the milk to a simmer. 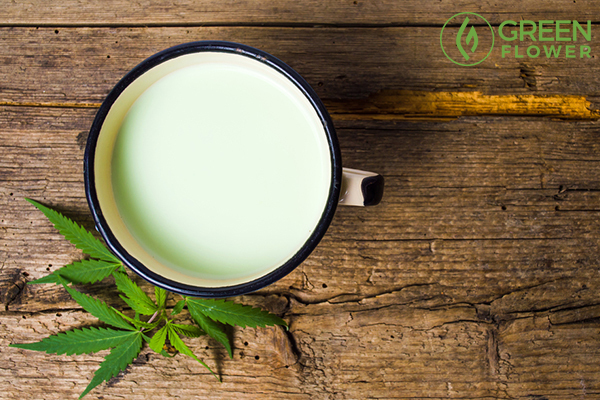 Add your cannabis slowly, stirring, until the milk completely covers the cannabis. Simmer for 30-45 minutes, stirring occasionally. It should be greenish-yellow in color. Remove from heat, and strain with a cheesecloth. Squeeze out every drop of milk from the cheesecloth to avoid wasting any of the potent liquid. Allow to cool and enjoy either alone or added to another drink. 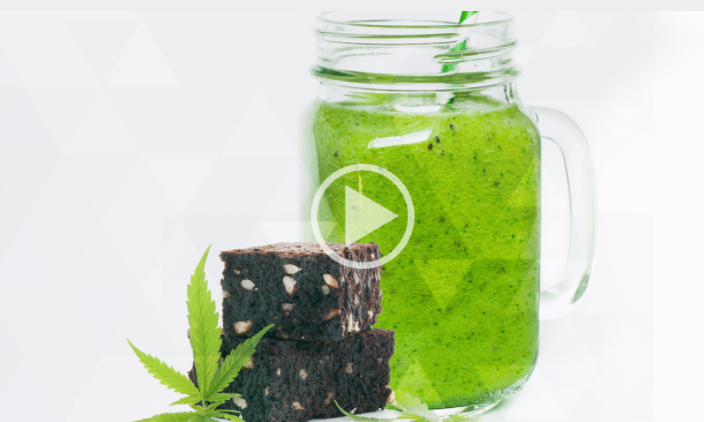 This is one of the more versatile cannabis drink recipes that can be used to make any flavor of milkshake you want -- just switch to your preferred type of ice cream. Cannabis milk makes this a creamy, sweet treat that’s perfect for cooling you down on a hot day. Combine ingredients in a blender. Mix until milkshake reaches desired consistency. Pour into a tall chilled glass and enjoy! 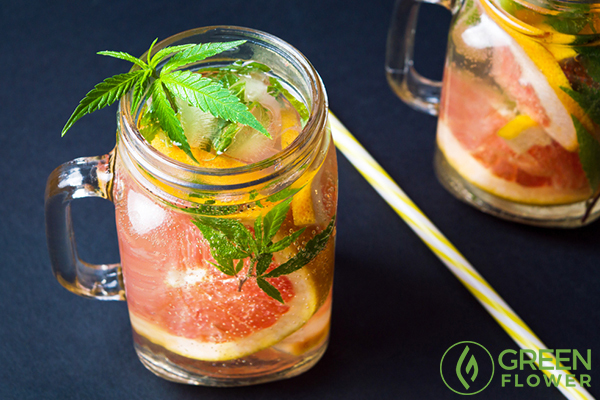 When you want a treat that’s as refreshing as it is potent, this strawberry basil lemonade is the canna-bee’s knees. If you don’t have an immersion blender on hand, a standard blender will get the job done. Juice the lemons and set the juice aside in a large pitcher. Combine sugar with one cup of water in a small saucepan and bring to a boil. Stir frequently to make sure the sugar dissolves. Allow the mixture to cool at room temperature and set in the refrigerator until chilled. Add the syrup mixture to the lemon juice, along with the cannabis tincture, remaining water, strawberries, and basil. Use an immersion blender for about twenty seconds to fully blend the ingredients. When the basil is finely chopped and the lemonade has turned pink, it’s ready to be enjoyed. The only thing better than sweet and creamy Thai iced tea? This tea that puts the “high” in “Chai”. Tip: keep a spoon or straw on hand to make sure the cannabutter stays properly mixed, and enjoy the goodness. Steep tea bags in the boiling water for about five minutes. Remove bags and stir in the sugar. Combine condensed milk and cannabutter in a small bowl, and mix. Fill glasses two-thirds of the way with tea and add the butter mixture to the top. It will sink, so be sure to have a straw or spoon handy to stir it back in. Drink, and enjoy! One of our favorite cannabis drinks, when the weather outside is frightful, this canna-cocoa recipe is so delightful. Whip up a batch of cannabis milk to make this chocolatey concoction, and you’ll be ready to curl up in front of the fire for hours. Add sugar, cocoa, and salt to a saucepan. Pour in the boiling water, and bring to a low boil while frequently stirring for about two minutes. Slowly add milk and cannabis milk while stirring. Heat until steaming, but don’t allow the milk to reach a full boil or you’ll risk scalding. Remove from the burner, and add vanilla. Divide evenly among a few mugs, and add half-and-half to cool. When the chill of fall starts to settle in the air, nothing tastes better than a cup of spiked hot apple cider. Except, that is, for this spiked hot apple cider that will get you high as the temperatures get low. In a large pot, bring cannabutter, brown sugar, and applejack to a simmer over medium heat. Stir frequently, and simmer until the sugar and butter have both melted. Don’t allow the mixture to heat to the point of boiling, just simmering. Stir in cider, lemon juice, and cinnamon sticks. Bring mixture to a boil. Allow to steep for a few moments before serving. Garnish each cup with sprinkled nutmeg and a cinnamon stick. If you’re in the mood for a drink that’s as pretty as it is potent, mix up a bowl of this pear prosecco punch. Whether you’re throwing a party your pals won’t forget or looking for a sweet porch-sipping beverage for a quiet evening, this sparkling pink punch is a lovely, refreshing choice among cannabis drink recipes. Combine pear and cranberry juices in a pitcher or punch bowl. Add cannabis tincture, and gently stir to mix. Finish by pouring prosecco over the mixture. Float pear slices on top or use as a garnish in each glass. There’s a cannabis-infused beverage for every occasion if you know how to make it. Just remember to always enjoy responsibly when you’re consuming any mind-altering concoctions. Know anybody else who would enjoy these beverages? 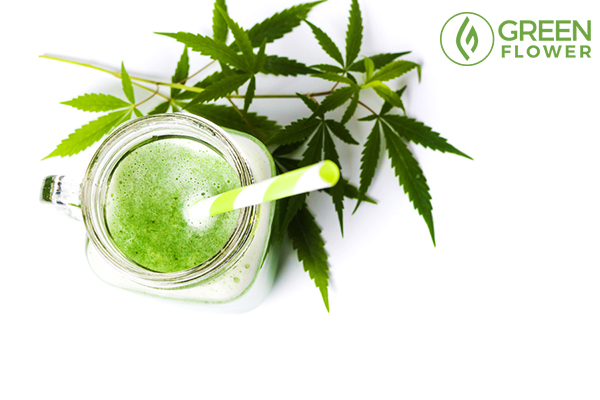 Feel free to share and let us know in the comments if you have other cannabis drink favorites you'd like to share. 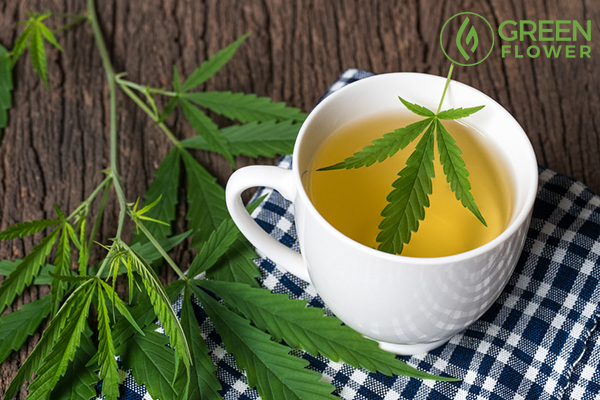 Have you ever had a cannabis drink?